Add some sparkle to your painting! A fantastic set of eight washable watercolour paint blocks, infused with sparkly glitter. 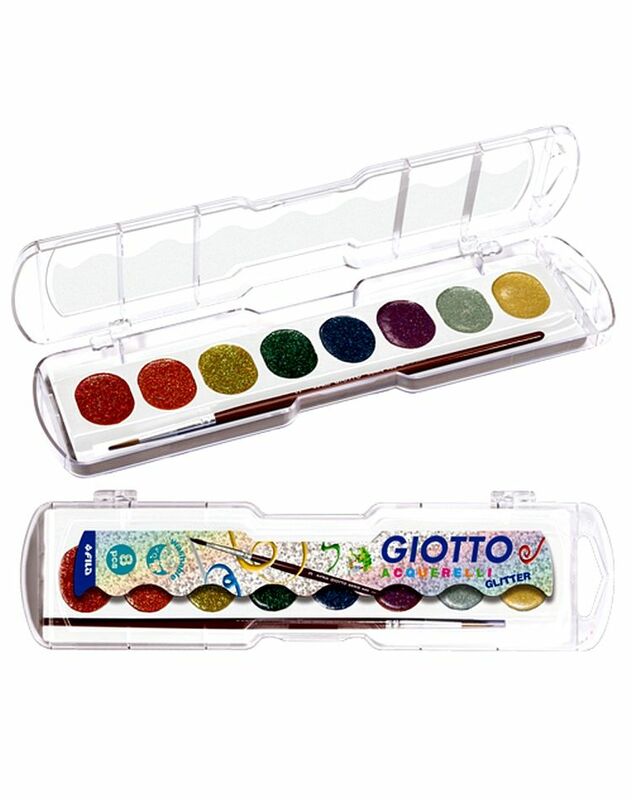 The Giotto Acquarelli Glitter paint set contains 8 blocks and a brush, packaged in a strong plastic tray with clear lid.